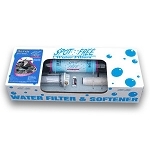 Using a Spot Free water filter will allow you extra time when drying a larger vehicle that has just been washed. 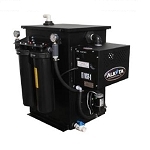 This portable water softener for washing cars will remover the elements that create water spots on your vehicle. 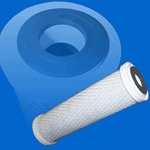 Spot Free Replacement Carbon Block Filter for chlorine & odor removal, 10 micron reduction. Universal cartridge fits most filter housings. For use with all Spot Free(R) models when it is time to replace. Mfg part# 410-0006-900000.